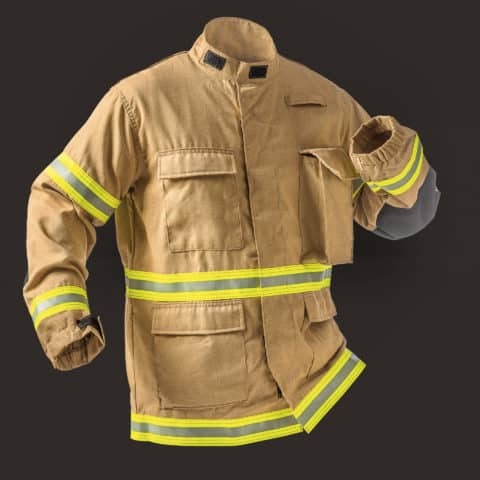 The NFPA 1977 Standard focuses on keeping the wearer from overheating while still providing heat and flame resistance. The 1977 standard was created specifically to combat heat stress in wildland firefighting, based on the original Wildland subcomittee's findings in 1989 that the majority of firefighters' injuries were related to heat stress during these types of operations. To learn more about the tests and performance standards required for NFPA 1977 certification, expand the NFPA 1951, 1977, & 1999 Comparison chart above. Chieftain Wildland Chieftain Wildland Gear is a lightweight and economical choice for protection on the fire line. The Standard model comes equipped with an array of features for placement of tools and other items, with additional upgradable options. TECGEN PPE TECGEN® PPE is a lightweight alternative to structural turnouts, reducing the risk of heat stress and fatigues on up to 90% of your calls. Dual certified to NFPA 1951 (Level 1, Utility Ensemble).